Let’s start by defining FSBO (pronounced “Fizz-Bow”). 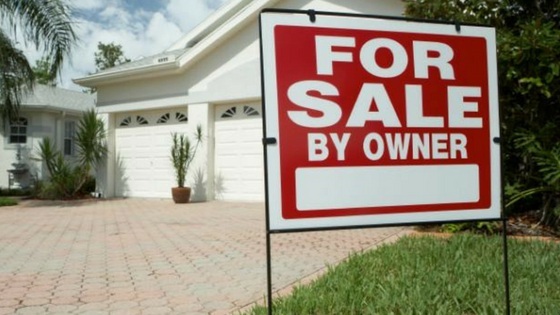 FSBO is an acronym for, “For Sale by Owner”. It refers to an individual offering their home for sale without using a professional real estate agent. This is usually done when a homeowner wants to save the commission they would pay a real estate professional to sell their home. On the surface, selling a house seems like an easy enough thing. Stick a sign in the yard, put up some flyers around the neighborhood and maybe post on Craigslist and Facebook. After all, with a real estate agent typically charging between 4-6% of the home’s value, why not try to do it yourself? Well, I could probably give you a hundred reasons why you should hire an agent. For the sake of time, I’ll try to just focus on some that directly relate to my work as a professional Home Inspector. To be honest, finding myself in the middle of an FSBO transaction is one of the less enjoyable things that happen to me. I usually end up playing the role of referee, financial advisor, phycologist, and therapist. I find myself stuck between two very well-intentioned people who are both completely in over their head. While trying to perform an inspection I’m bombarded with questions like, “Am I required to fix that?”, “Shouldn’t the seller fix this?”, “Who do we call for help with that?”. All of these questions and many more is an overwhelming reason to hire an agent. They will help you navigate the unfamiliar course of buying and selling a house. Furthermore, since I’m the only person around with any professional qualifications, I’m asked about things that are completely outside my area of expertise. I field questions about home loans, title insurance, seller disclosure documents, easements and lot lines, land use, school districts and more. Again, these are all things real estate agents deal with every day and can offer real assistance. As much as I hope all this chaos ends when I am done with the inspection, it usually does not. I routinely get phone calls or emails from my buyer and seller continuing to ask for more help with their transaction. Somewhere along the way, I can sense they start to realize why people usually hire a real estate agent. As annoying as these issues are to me as an inspector, the real problems are for the buyer and seller. They have no idea of just what they are being exposed to in terms of liability plus how much money and time they might be losing. The seller may think they are saving $10,000 by not hiring an agent but then lose 3X that with incorrect pricing, poor marketing, and poor negotiating. In case I still haven’t persuaded you that selling your house yourself is a bad idea, let me give you one final reason. It doesn’t work. I regularly find FSBO signs shoved in the corner of a garage and a professional real estate company sign in the yard. The fact that I’m performing an inspection means the house is selling. Something that obviously didn’t happen going the FSBO route. I’ve been involved in real estate transactions daily for the last 18 years and know more about the process than most people. That being said, I’d never dream of trying to sell a house without the assistance of a professional real estate agent. Like so many other things, there is just no substitute for hiring a professional that does something every day. Need your home inspected? Contact us today!